It’s crucial to have a website and digital presence in today’s fast growing world of business. Wondering where to start? Well, you’ve come to the right place. Today, I’m giving you a few pointers on what you need to start your own small business website. First, you’ll want to set some goals that you’d like to achieve from the site. Are you trying to gain followers or subscribers, are you selling or advertising your product or service through the site, or are you trying to self promote or enhance your own professional brand? Asking yourself these types of questions first will save you time later on down the road. Next, you will want to consider the amount of space you’ll need for your website. Space, or size, refers to the amount of content your business’s site requires. Things like the number of overall webpages, whether or not you’re incorporating a blog, and whether or not you will be actually selling items or subscription services directly through your site should all be given your sincere consideration. If your site doesn’t meet your needs, then there’s no way you’ll appeal to your audience and attract visitors. You’ll likely want to give some consideration to utilizing a web hosting service. A web hosting service such as WPsitecare or HostGator ensures your site runs efficiently at the fastest speeds, and basically serves as a “home” for all your site’s information and data. I’ll leave that explanation to the real techies, but unless you’re really small and just starting out, then you should consider hosting services. Now it’s time to start to researching and comparing services for the right website building platform such as WordPress, Google Sites, or Google Blogger, to name a few. Trust me, WordPress is the industry leader in web publishing and small business web platforms. In the digital realm of business websites, it’s WordPress’ world and we’re all just living in it. Now you have to decide on which is best: WordPress.com or WordPress.org. And yes, there is a difference between the two where choosing the right service to begin with will likely save you a lot of stress, time, and most importantly, money. We’ll cover the difference between the two WordPress services in a later post. ur own site, or enlist one of the aforementioned hosting services. WP.com limits your site’s e-commerce capabilities, but hosts the site and offers custom domains. WP.org gives you the freedom to completely customize your site and host it yourself. We’ll dive deep into the differences between the two in a later post. Until then, conducting a simple Google search on the differences between the two platforms will yield you a ton of results that explain everything in a way that’s easy to understand and comprehend. After you’ve settled on a web hosting service, a website building platform, and put together a list of goals and intentions, it’s time to make some actual business decisions. Tasks such as coming up with an affordable website (monthly) budget, aligning your budget with your website’s and business’s needs, and then choosing your plan will be the last thing you do when setting up your site. Before launching your company’s website, be sure that you’ve done your due diligence and researched all of your options. Make it a point to have reached out to various consultants or industry leaders for advice. 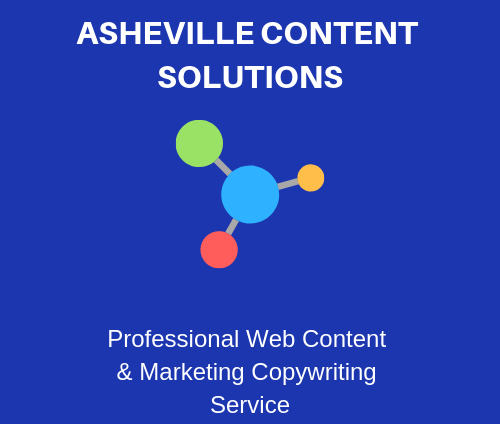 Now, unless you’re an unbelievable writer with plenty of time on your hands, be sure you’ve talked to or hired a content manager or writer to populate the pages of your website with written and visual content that conveys your brand and sells your product. Is It Time To Take Your Site To The Next Level? You have many options when setting up your site’s features, capabilities, and general functionality. It’s important you take the time to carefully choose those features that best match your overall business needs and goals. If your website is already set up to perform these functions, then it might be time to expand your website by enlisting the services of a full-time webmaster and maybe even assembling an entire information technology, or IT team. Do you need a website for your business? Are you thinking about launching a site, but maybe you’re nervous about wasting the money? Don’t let your business fail or take a backseat to the competition. In the cutthroat world of web marketing and digital solutions, don’t take the chance of hiring one of those fake marketing firms, or remote online agencies. These places will likely never even step foot in your shop, shake your hand, or know your name. site under-performing or not providing you with a positive Return On Investment (ROI)? Are you spinning around in circles trying to figure out the complex world of content marketing, inbound sales, or Search Engine Optimization? Contact Matthew today to schedule your free consultation and website or business analysis. Matthew comes to your place of business, office, or pretty much any place suitable for meeting up and holding a conversation, and he evaluates your needs honestly. Consultations are free and confidential. If your website’s content is boring, or your site’s pages and posts don’t appear in searches, then don’t hesitate to call, email, or fill out the contact form below. Learn more about Matthew and the many ways he can grow your business’s web presence and brand.